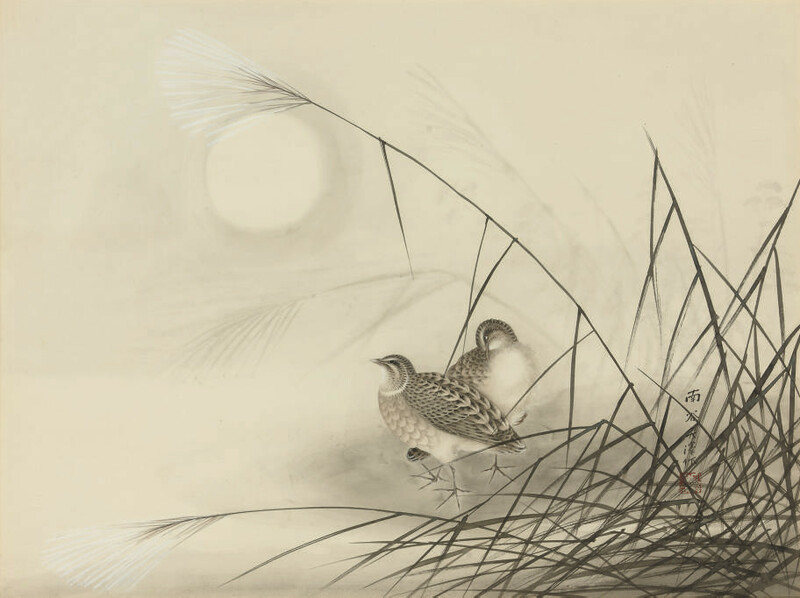 in sumi, gofun and slight colour on paper depicting two quail beside long grasses in the moonlight, one bird with its beak nestled into it's breast feathers, signed Nan'ya Daitaku saku -- 18in. x 24¼in. (45.7cm. x 61.5cm. ), framed and glazed.